When I get to play a game, it's a better experience when the audio supports the content. For example, RPGs tend to have really good sound effects and epic music composition that seems to carry you on your quest or journey. Even some FPS utilize very realistic weapons and action audio samples. 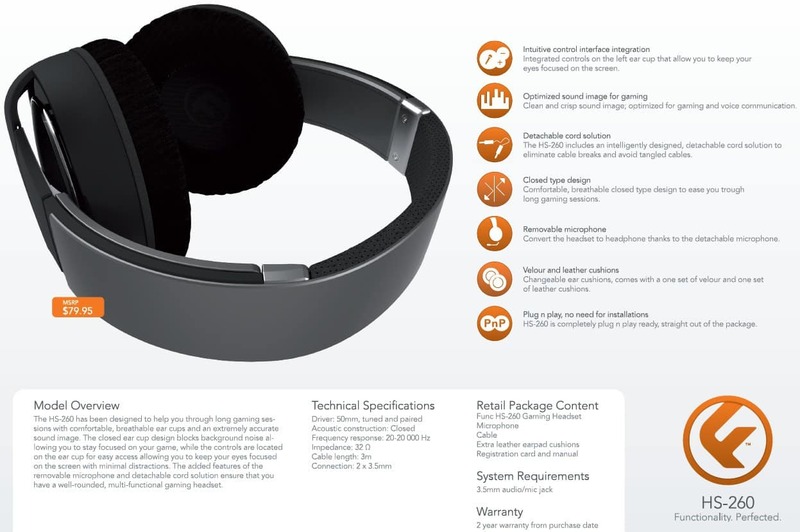 If the headset I'm wearing isn't up to par, it completely robs the game of its awesomeness. 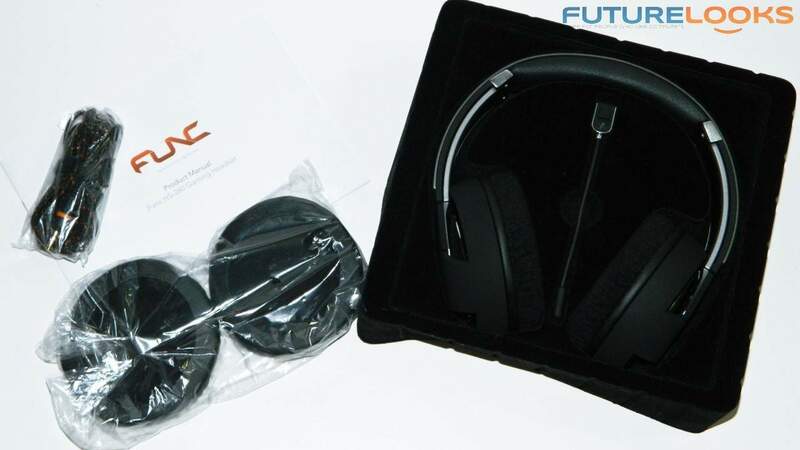 Func, a manufacturer of some very appealing gaming accessories, announced their new HS-260 Gaming headset a few weeks ago. And, today, we've got the test results from not only my experience, but the experience of local gamers' that I've had the privilege of corroborating with on this review. Have a look and see if the HS 260 is something your ears will love. 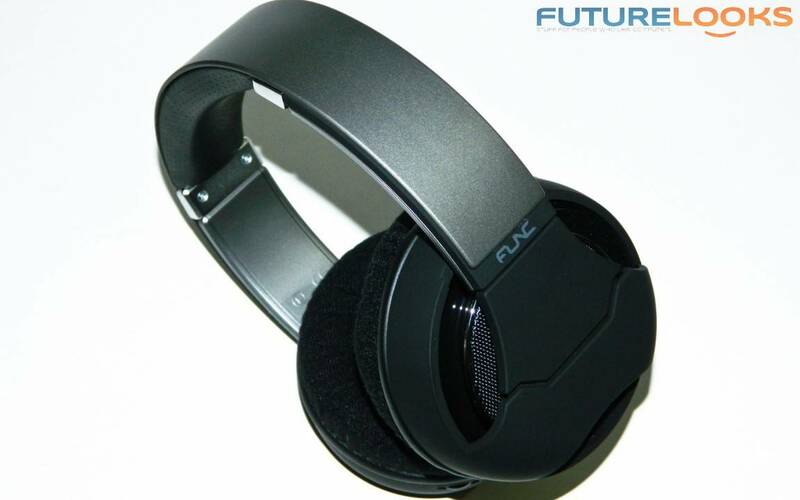 The Func HS-260 produces audio through a set of sizable 50mm 32 ohm drivers, one in each closed ear cup. The drivers are rated to carry 20-20,000 hz frequencies to your ear. At 20hz, there typically isn't a lot of deep bass on open headsets, but enclosed tend to focus the response more efficiently to the ear. 20 khz is a good conservative range for higher frequencies as it's commonly accepted that we can't discern many higher frequencies. Audiophiles will of course scoff at this notion. That said, we've heard good quality conservative drivers like the ones here create impressive results. A 3.5mm cable comes with the headset, and is braided throughout its 3M length. It's not too long that you're going to hanging yourself or a passerby, but it's plenty long enough to route anywhere regardless of where your computer is sitting. The mic looks to be fairly standard, but isn't noise cancelling. The mute function is actually on the mic itself, which mutes when slid forward. The mic boom flexes nicely holding just about every position. The headset presentation is done well, after opening the box Underneath the headset and mic, you'll find two ear cup replacements, 3 meter long braided analog cable, and a manual with set up notes. This is a very simple plug-in-and-play headset so you won't need the manual at all unless you can't figure out where the mic goes, or can't find the mic mute switch, or can't locate the volume wheel. That is covered in the next two sections. Given the extras, accessory and head set quality at a glance, FUNC's flag ship headset isn't set at too high of an asking price. Users will be able to purchase the HS 260 for $79.99 USD starting at NewEgg US. I suspect that there is room to wiggle at that cost so don't be surprised if you see it for less online. 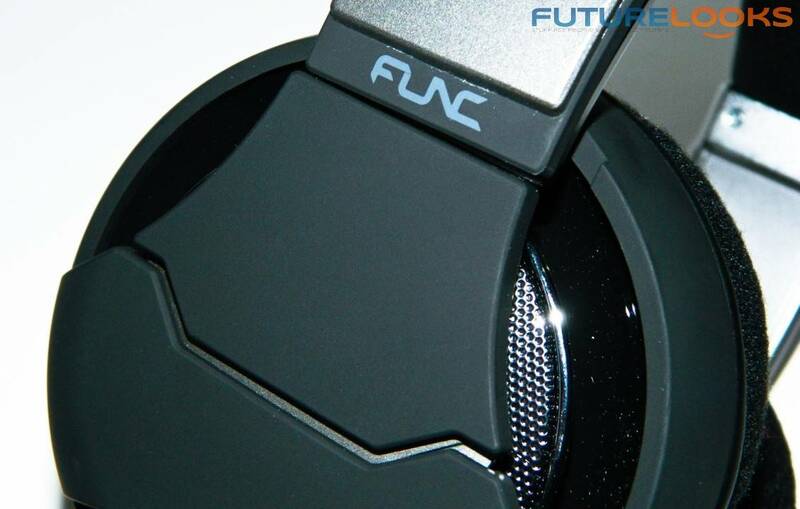 The FUNC HS-260 is a very attractive gun metal on black themed headset. 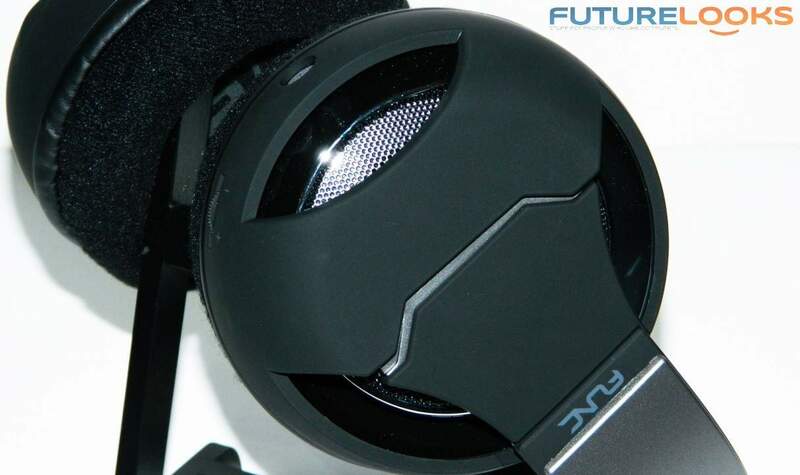 The ear cups and some of the head band are covered with a matte black rubber material. The head band appears to have a wide metal band hidden inside that helps hold its shape. Light weight plastics cover all of the head band as well. About a 1/2 inch thick neoprene like cloth covers the head band, and is used for padding. The ear cups extend down the head band an inch and a quarter. The fit is relatively snug at all positions and will fit any size head. Looking at the ear cups, you can actually see that it's not completely physically enclosed. An attractive chrome external frame sits on top of the driver housing which sits another 1/2 inch underneath. This creates a vented speaker box of sorts. Depending on the space and thickness of the inside cup housing, it may or may not allow sound through or frequencies escape. We'll find out soon enough in the testing we have in store for it.